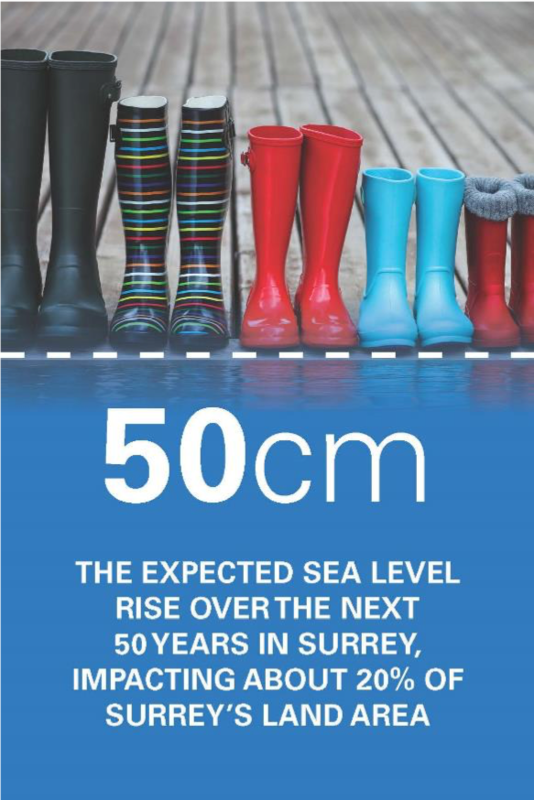 As part of a larger project team led by Northwest Hydraulics Consultants (NHC), EcoPlan is currently supporting the City of Surrey on a five-phase project to develop a Coastal Flood Adaptation Strategy (CFAS) for the City’s coastal floodplain area. EcoPlan is leading the stakeholder/partner engagement and facilitation component of the project, along with the values-based decision process. 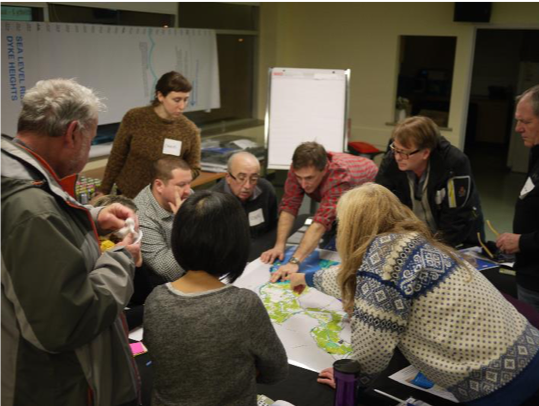 EcoPlan is working with a broad range of stakeholders and community partners to ensure that the planning process is community-driven, participatory, and transparent. Project partners and stakeholder groups have included Semiahmoo First Nation, regional and local governments (Metro Vancouver, Delta, White Rock), provincial and federal agencies (e.g., Fisheries and Oceans Canada, Forests, Lands, Natural Resource Operations and Rural Development, Ministry of Environment & Climate Change Strategy, the Provincial Agricultural Land Commission), City of Surrey (staff, departments, Mayor and Council, standing committees),utilities (BC Hydro, Fortis), rail (BNSF), agriculture (BC Agriculture & Food Climate Action Initiative, local farmers), businesses, residents, youth, and community organizations (environmental, recreational, agricultural, residential). businesses, residents, youth, and community organizations (environmental, recreational, agricultural, residential). 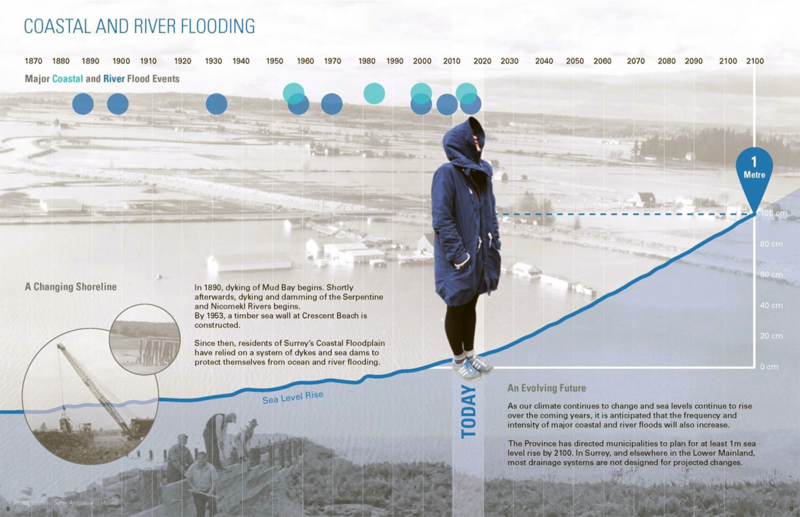 Engagement activities have included workshops, public open houses, site tours, broad-based outreach and engagement at community events, a photo contest, a social media campaign, two project documentary videos, paper and online surveys, and a community roadshow with a large format (10 m) banner showing projected sea level rise, storm surge and year 2100 dike heights that travelled to the Surrey City Hall atrium, the Surrey Central Library atrium, SFU’s Surrey campus atrium, and several South Surrey community centers. 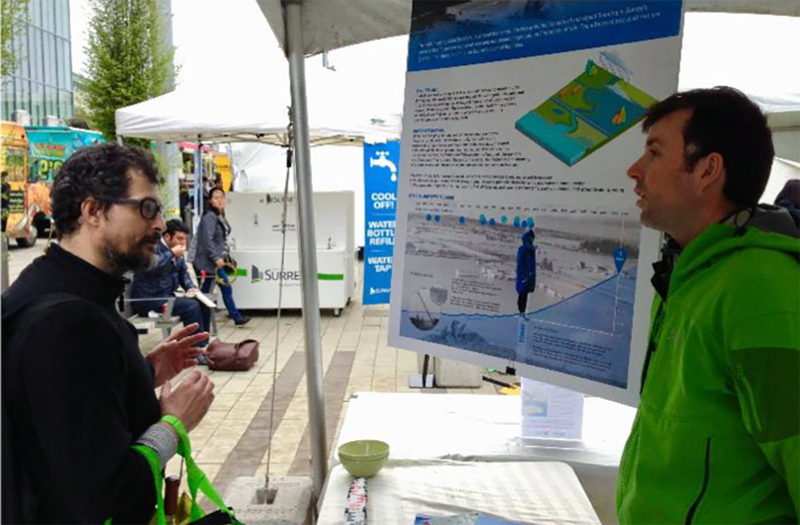 To date, over 1,000 people have been directly engaged through project workshops, focus groups, and other events. CFAS has also generated 100,000 social media impressions. The three project videos (which EcoPlan led the development of) have captured over 10,000 views on YouTube.